Colombia is a true land of contrasts. From colonial architecture to modern skyscrapers, lush green pastures to jungles, and mountains to coastline. Begin your journey in Colombia’s striking capital, Bogota, a city reborn with the heart and soul of a nation, reflecting its historic nature in its refined colonial and republican architecture. Explore with your senses as you visit the sweeping hills of the Quindio coffee region, where you’re brought face to face with the production of this aromatic delight, set comfortably amidst a lush, and green picturesque rural landscape. Learn about the dark days of the drug cartels that once controlled Medellin and witness the vibrant rebirth of the modern-day city; a triumphant rise to status as a global city. 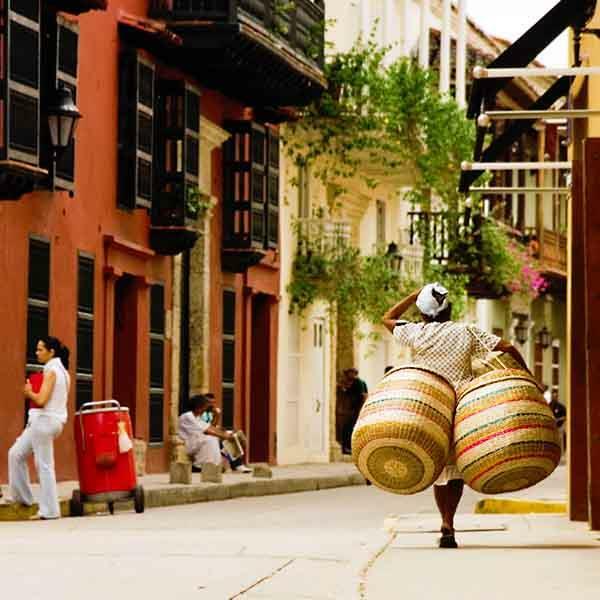 Delve deep into history in Cartagena, a coastal city with a walled old town, and 16th century plazas. Modern-day Colombia has left behind its difficult past and emerges with a pulse of enthusiastic optimism that now runs through the entire country. Your team of experienced English-speaking guides and private drivers will help you see it in your interactions with passionate locals as they proudly share with you the rich history, culture and joy of this vibrant country. You’ll also experience it in the warm hospitality at the premium hotels that span your stay.